If you own an Amazon Alexa-toting speaker and you've heard random laughs in your house, you (probably) don't have any reason to worry. Many people with Alexa speakers have posted about hearing completely random laughter, even while they're home alone. This is apparently due to its launch phrase being too easily falsely recognized. 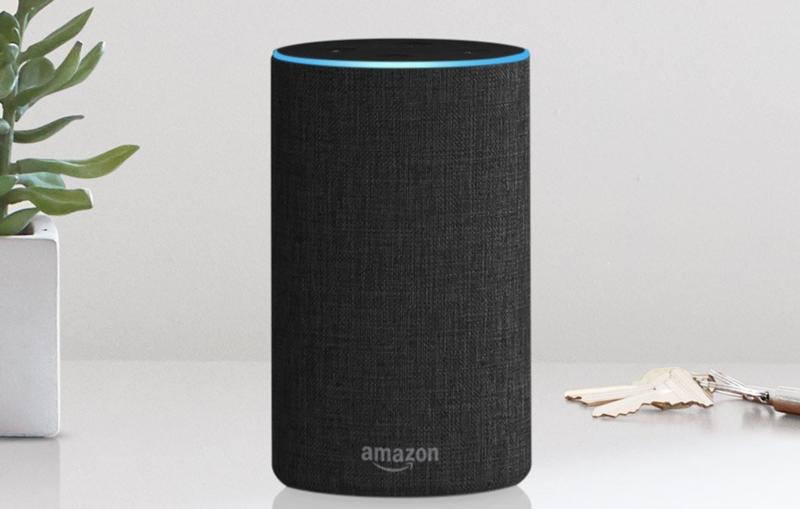 Alexa's current launch phrase for a laugh is "Alexa, laugh." Since that's a relatively short phrase, it can easily have false positives, leading to these creepy laughs people have been hearing. These aren't isolated instances, either. In a statement to The Verge, Amazon said, "We’re aware of this and working to fix it.” The planned fix includes trading the current "Alexa, laugh" phrase for "Alexa, can you laugh?" On top of that, Alexa will say, "Sure, I can laugh," before beginning to cackle with this update. So if you're home alone and you randomly hear laughing before this fix rolls out, while you might feel like you're living a real-life horror movie, chances are that it's just poor software acting up. Well, hopefully.